Sights and Sounds. Michigan Road Show. If Thursday night was a highly partisan Michigan crowd, the Staples Center tonight may as well have been decked out entirely in maize and blue. Sure, the Seminoles’ war chant ranged out of one little section of the arena from time to time. But in response to any play the Wolverines made, the crowd seemingly roared as one. And more often that not, it was the chant of “Let’s Go Blue” that resounded. Wildcard. The second half was a back and forth chess match with each coach adjusting to the other. That 11-0 run to start the second half out of Michigan came on four layups and one three from a kick-out following an offensive board. It was clear following a first half in which Michigan had only scored eight points in the paint that they had received instructions to get the ball inside. Florida State responded to their struggles on the offensive end by going with a smaller lineup, which worked for a stretch but only strengthened Michigan’s resolve to get it inside. Leonard Hamilton spent most of the second half with a lineup of Phil Cofer, C.J. Walker, Braian Angola, Terance Mann and Trent Forrest, a distinct change from their 18-strong, 10-man rotation philosophy. In the end, the battle between the bench braintrusts was as fascinating as the play on the court at the Staples Center. Leonard Hamilton, with not his greatest moment, after the game. What’s Next? 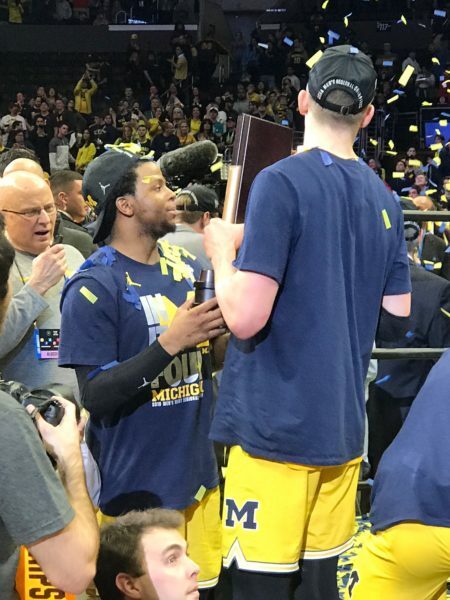 Michigan advances to its eighth Final Four in program history, the second under head coach John Beilein. The Wolverines will take a 13-game winning streak into their battle with this year’s Cinderella in Loyola-Chicago a week from today in the first National Semifinal game in San Antonio. For Florida State, they’re slated to lose only two rotation seniors — Braian Angola and Phil Cofer – pending the college basketball transfer season. 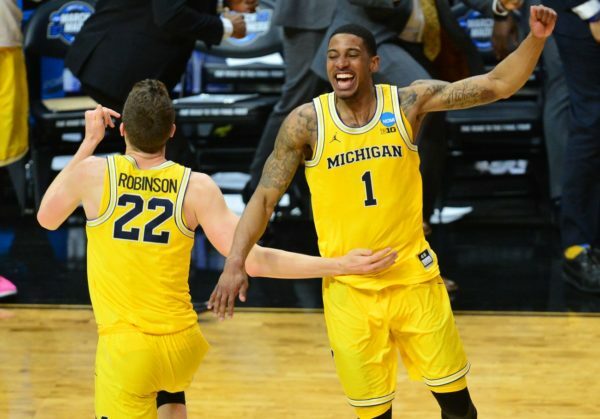 This entry was posted on Saturday, March 24th, 2018 at 11:12 pm by Andrew Murawa	and is filed under 2018 ncaa tournament, feature, rushed reactions. Tagged: charles mathews, florida st, john beilein, leonard hamilton, michigan, ncaa tournament, xavier simpson. You can follow any responses to this entry through the RSS 2.0 feed. You can leave a response, or trackback from your own site.